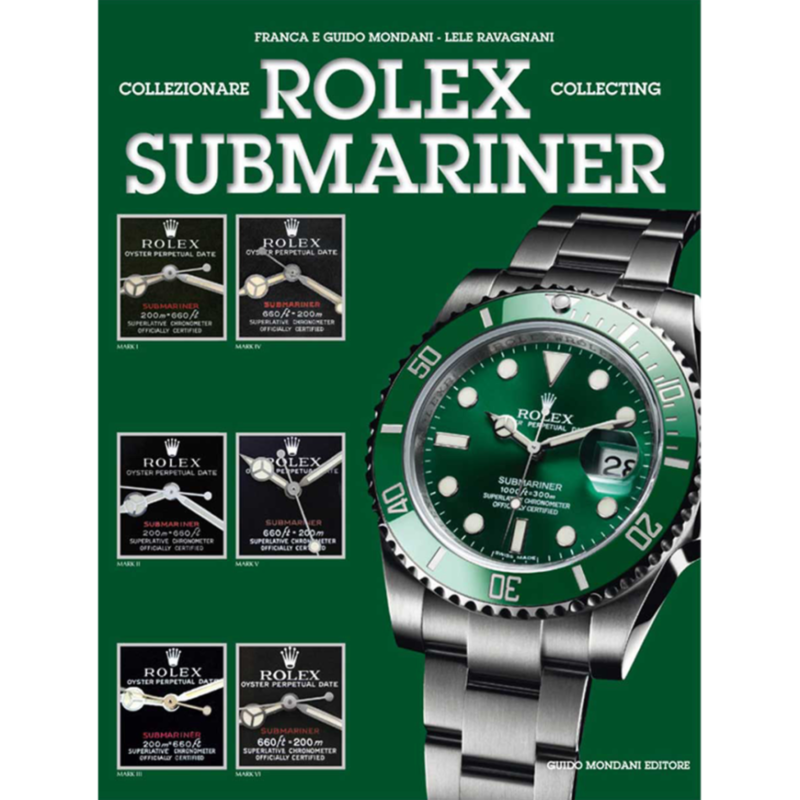 Collecting Rolex Submariner is an updated and complete book about Rolex Submariner, Sea-Dweller and DeepSea. The strong importance of these models in the international market has given life to this important book, a true worldwide best-seller. During the years, these models have achieved an impressive collectable and economical value. Thanks to well documented and meticulous research, the authors have managed to create a real “Bible” of modern and vintage models. Are you a watch collector and want to know every minimum detail about these models? Have you recently approached the world of Rolex watches and are looking for assured answers to your doubts? Are you a watch dealer and want to know exactly what you are buying or selling? Do you want to know the real value of your watches? For all this and much much more, this book is perfect for you. 5 Marks of the “green bezel”, ref. 16610LV, Customized dials, 6 Marks of the ref.1680, Comex, 4 Marks of the ref. 1665 “double red”, 4 Marks of the ref. 1665, Faded, rare replacement dials, limited editions, bracelets and much more. The book also provides the updated estimates of all published watches. Many fine details are illustrated for each watch: the case number, the bracelet and its references, the winding crown, the case back, the dial, the caliber with its respective year of production and the various references.